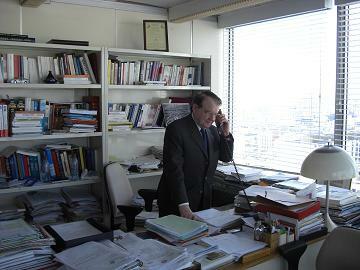 Prof. Luc Montagnier was awarded the Nobel Prize in Phyology or Medicine in 2008. 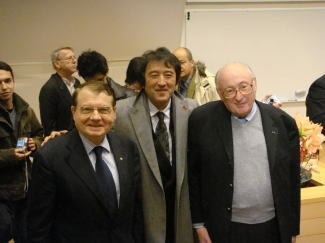 Prof. Luc Montagnier, who is a scientific advisor of Osato Research Institute, as well as a chairman of the World Foundation AIDS Research and Prevention, was awarded the Nobel Prize in Physiology or Medicine in 2008. He has become even busier after the announcement of winning the Nobel Prize, however, he still maintains his energetic research activities. 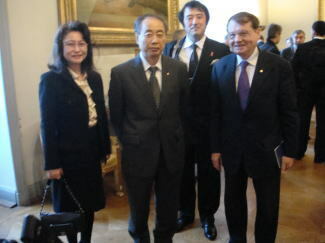 Mr. Hayashi, president of the O.R.I., and his wife as well as Dr. Pierre Mantello, director of the O.R.I., were invited to attend the Nobel award ceremony as the guests of Prof. Montagnier, which was held in Stockholm, Sweden, on 10th of December 2008. 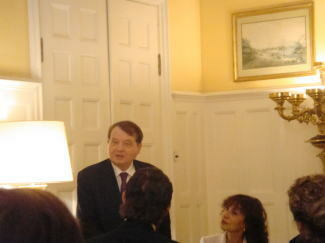 It is a high honor for us that Prof. Montagnier was awarded the Nobel Prize, who has been having a strong link with FPP research for a long time. 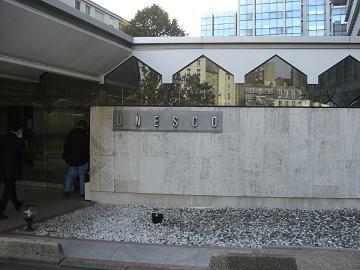 The front office of UNESCO. 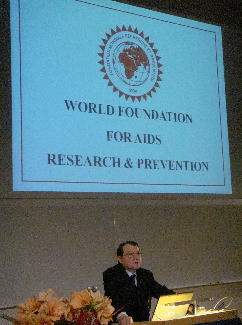 World Foundation AIDS Research and Prevention is there. 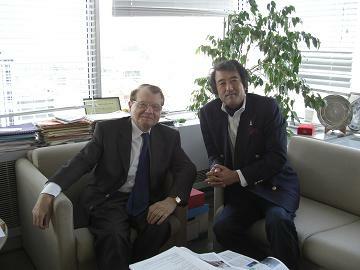 Prof.Montagnier and Mr.Hayashi, president of ORI, share the joy of the occasion. Having checked in Grand Hotel which is officially authorized as accommodation for Nobel prize winners and visitors therewith for last many years. 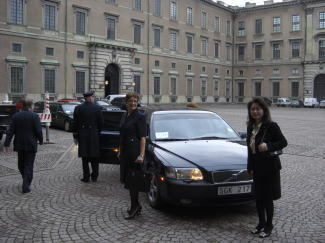 Scene : At lobby of this hotel, just registering at front `Nobel Desk`. 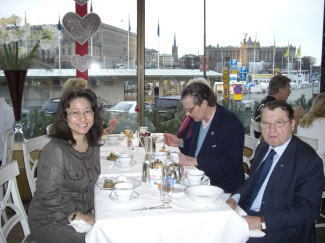 Having good time with good Swedish breakfast and comfortable atmosphere. 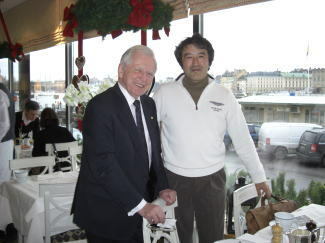 With Dr. Harald zur Hauzen, who is first finder of papillomavirus and awarded Nobel prize in the field of Physiology or Medicine, 2008. 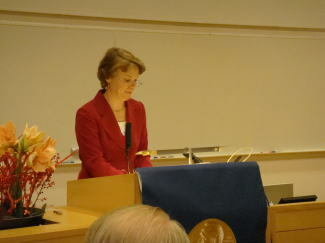 With opening speech of director of Royal Karolinska Institute, a series of special lectures were started. 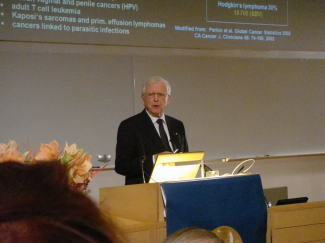 Nobel prize special lecture conducted by Dr. Harald zur Hauzen. 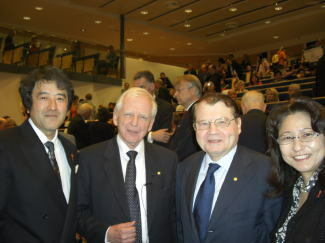 Nobel prize special lecture conducted by Prof. Montagnier. 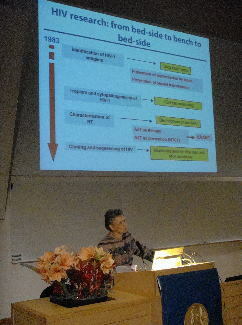 Nobel prize special lecture conducted by Prof. Francoise Barre-Sinoussi. 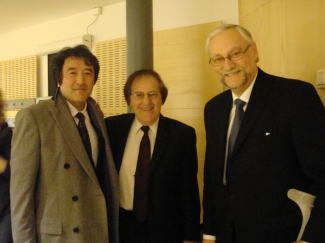 After lecturing is finished, Prof. Montagnier who took relief breath, with friends since age of Institute Pasteur. 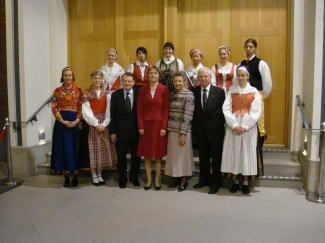 After Nobel lecture, take photograph with all together. 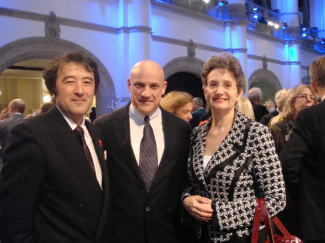 With Mr. Vagliani who is former Secretary General of World Foudation AIDS Research and Prevention. 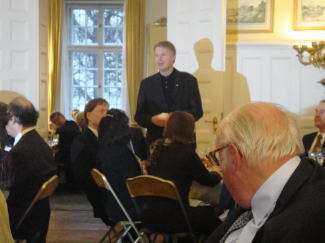 At reception of Karolinska Institute. 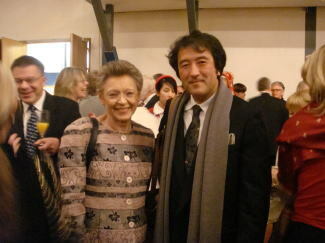 With Prof. Francoise Barre-Sinoussi who is winner of Nobel Prize in Physiology or Medicine 2008. 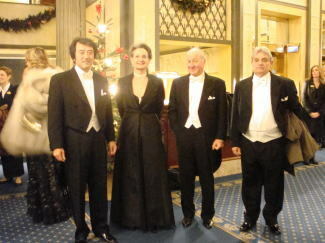 Photograph taken with all the Nobel laureates in Physiology or Medicine 2008.
all male participants were required to wear tail coat. 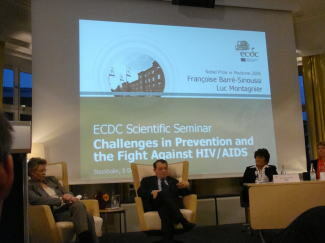 Symposium, on AIDS in ECDC. 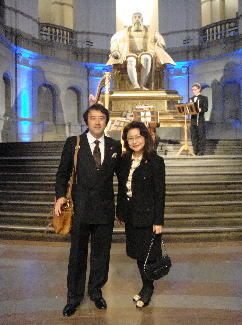 To attend "Ask to 5 Nobel Prize winners", 90 minutes show, BBC will broadcast worldwide, we headed for royal palace, with Dr. Montaginier. 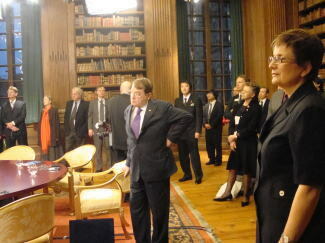 At library of palace, with Dr. Montagnier who waited for start of broadcast of BBC. Teatime after broadcast is finished. 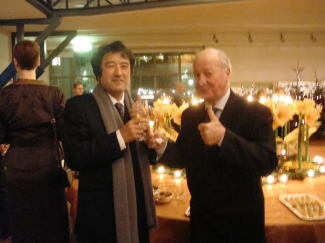 With Dr. Kobayashi who is winner of Nobel prize in physics, 2008. 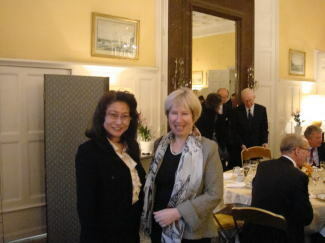 At official residence of French ambassador, attending lunch for 3 French Nobel Winners. 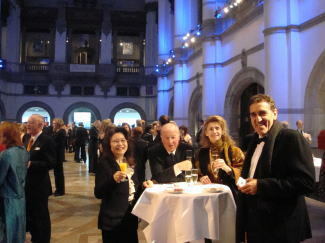 At Nordic Musium, attending reception held by Nobel Prize Foundation. 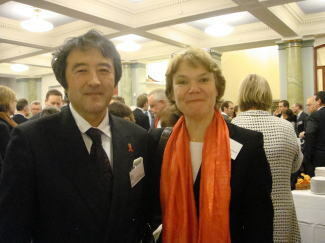 Who have kindly taken photograph of us was president of Kyoto University. Thanks so many. 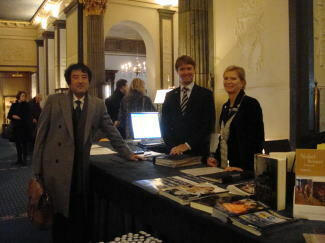 Members of team WFARP and director of Osato Research Institute. 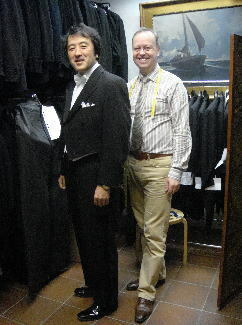 With deputy for America, WFARP. 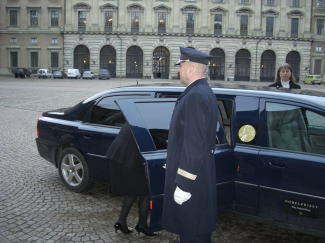 Time to depart for award ceremony.